We have been used to watching video advertisements since long; or better to say since televisions became an integral of our daily lives. Brands promoted their product in the most peculiar way where actors or celebrities were shown happily using their product and suggesting the same to us! But Video marketing has taken a huge leap in the recent era of a digitized global market. Video marketing is a way of promoting a product, service or simply the brand name using video or graphical contents. Such videos might include product promotion, upcoming sales news, customer testimonial and even promoting the name to make you aware of its presence and influence. Demo videos are the best way to introduce the public with a product manual or description. it might include a tour of the new software, service description or unboxing a product. Generally created as a part of large advertising campaigns, Brand videos intend to showcase the brand’s high-level mission, or product and service. The goal is to create brand awareness! Interesting interviews, round table discussions, fundraiser or any event that takes place in your business is an awaited gossip for people. Event videos are the best way to publish these important business events up for your customers. The most vital and enduring type of video marketing, product promotion videos takes the greater part of digital marketing. These videos intend to market new products that are going to or have hit the market. Customer testimonials and feedbacks are the best way to generate trust for your brand. Posting a video on your social media business pages or testimonial sections of your website is a great way of engaging customers. Reasons for making video marketing the new future for digital marketer! You might not be knowing about the fact that video can really boost the SEO factors of your webpage. It can boost up your click-through rates, open rates and the conversion process. Talking statistically, 57% of the conversions come directly from video ads and video campaigns running throughout the digital media. Video leverages potential customers to get a quick understanding of the product and service with more effect and appeal. It thereby lures them to be the potential buyers of your business. The best effect and appeal that a simple poster or image cannot create is done through a video. Video appeals to the emotions and the brains of a person watching it. 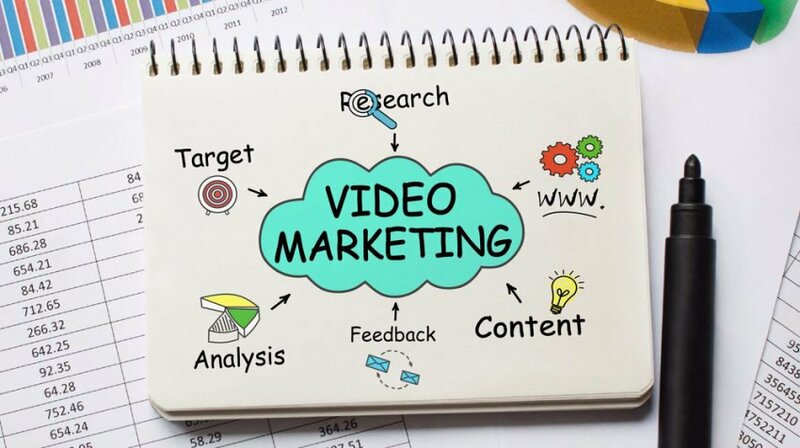 The trend of video marketing in 2019 is ravishing in its terms of digital marketing for your business. By the end of 2018 81% of businesses used video as a crucial marketing tool. Near about 97% of the marketers have agreed to the fact that video advertisements have helped customers to have a clearer idea of the product or service. It also has been a great help to increase sales as well as good quality traffic. Based on the present facts about video marketing, webmasters and marketers are holding tight to this tool as one of rising and everlasting way of conversing potential audiences into prospects!